The DVP-SS2 Series is Delta Electronics' second generation of slimline industrial PLCs. 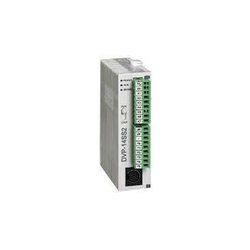 The DVP-14SS211R features high speed counters, a flexible serial port, real-time monitoring and an expansion bus that allows matching modules to be mounted on the right side of the PLC without external wiring. 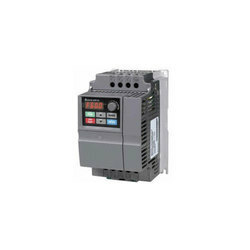 The DVP-14SS211R supports PID loops with automatic tuning for process control applications. 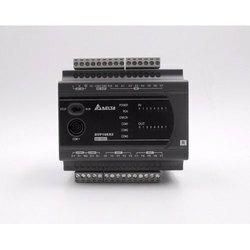 The transistor outputs allow high speed pulse generation for servo or stepper motor motion control applications. 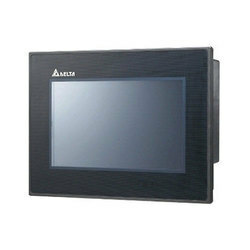 We are offering HMI - 7 Inch to our clients. 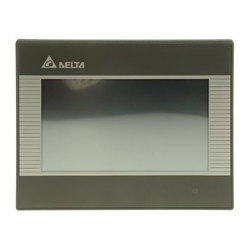 From our wide consignment, we are affianced in supplying Delta HMI. Looking for Delta PLC ?